Adnan Aamir: How Balochistan Point Helped Ameerullah, A Student in Trouble? How Balochistan Point Helped Ameerullah, A Student in Trouble? 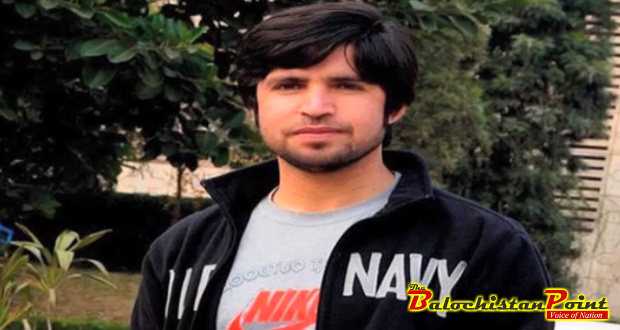 Ameer Ullah Kakar is a 22 year old student from Killa Saifullah District of Balochistan. He travelled to USA as a part of Global Undergraduate (Global UGRAD) programme. Soon after his arrival in USA, he fell ill and was diagnosed with Brain tumor. Balochistan Point came to know about the case of Ameer Ullah through a source. After that, a news story was published in Balochistan Point after rigorous investigations to prove the claims made by the family of Ameer Ullah. Balochistan Point confirmed form Suburban Hospital in Bethesda, Maryland that indeed Ameer Ullah has been diagnosed with Brain tumor. Balochistan Point also contacted Public Affairs Officer of U.S Consulate General in Karachi, Press Information Officer of U.S Embassy in Islamabad and USEFP in connection with this story. Once published, news story of Balochistan Point about Ameer Ullah went viral on Social media in Balochistan. Samaa News contacted Balochistan Point and sought the contact numbers of the family of Ameer Ullah so that they can cover the issue. Based on the story of Balochistan Point, Samaa was the first news channel to cover the story. However, in contrast to media norms and ethics, Samaa News didn’t acknowledge the role of Balochistan Point in bringing this issue to notice of everyone. Balochistan Point condemns the unethical behavior of Samaa News. In contrast to media norms and ethics, Samaa News didn’t acknowledge the role of Balochistan Point in breaking this story. 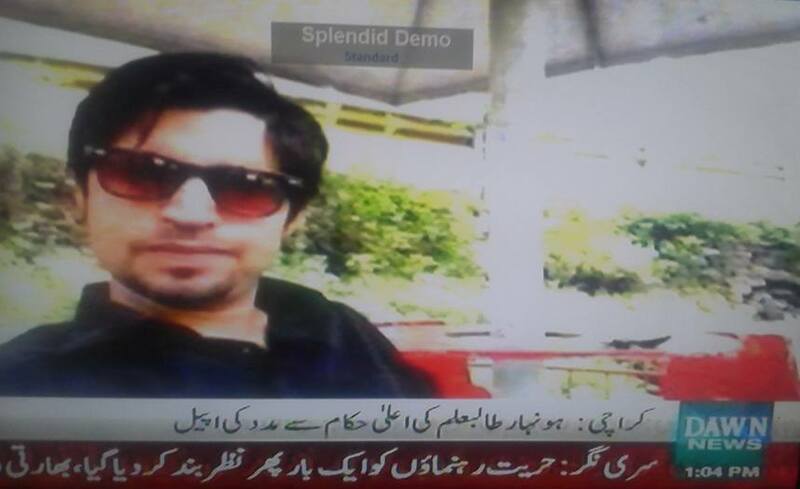 After Samaa, Dawn News also picked up the news and broadcasted video news to highlight the issue. Daily Qudrat Newspaper and Daily Azadi newspaper, both based form Quetta, also covered the news after it was picked by Samaa and Dawn News. Balochistan Point published news story about Ameer Ullah on 19th August and the very next morning, Chief Secretary Balochistan, Saifullah Chatta directed Deputy Commissioner of Killa Saifullah to contact family of Ameer Ullah. Officials of Pakistani embassy in Washington also paid a visit to Ameer Ullah on instructions of Chief Secretary. Chief Secretary Balochistan announced to fund medical treatment of Ameer Ullah after Balochistan Point brought this issue to mainstream attention. Molana Abdul Wasay, opposition leader in Balochistan Assembly and Member of assembly from Killa Saifullah, paid a visit to Ameer Ullah in Karachi and assured him full support. Chief Secretary Balochistan called Ameer Ullah and informed him that all his medical expenses would be borne by Balochistan Government. Chief Secretary also assured him that once his treatment is completed, Balochistan government would facilitate Ameer Ullah to resume his studies where he left, due to illness. Ameer Ullah thanked Balochistan Point for its role in bringing issue of his medical treatment to mainstream media in Pakistan. Balochistan Point will follow up this story to ensure that Balochistan government makes good its promises and fund complete medial treatment of Ameer Ullah. Balochistan Point vows to continue its responsible reporting in highlighting the issues of Public Importance. 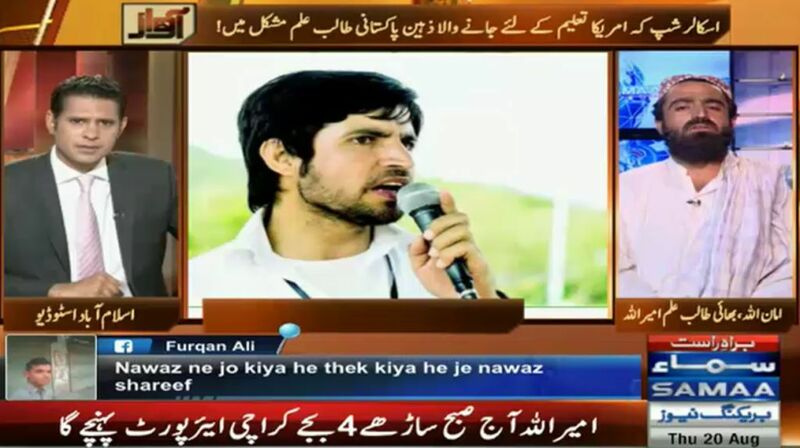 How Balochistan Point helped Ameer Ullah is one more success story of Balochistan Point. Balochistan Point vows to continue its responsible reporting in highlighting the issues of Public Importance and bringing them to attention of the concerned authorities.